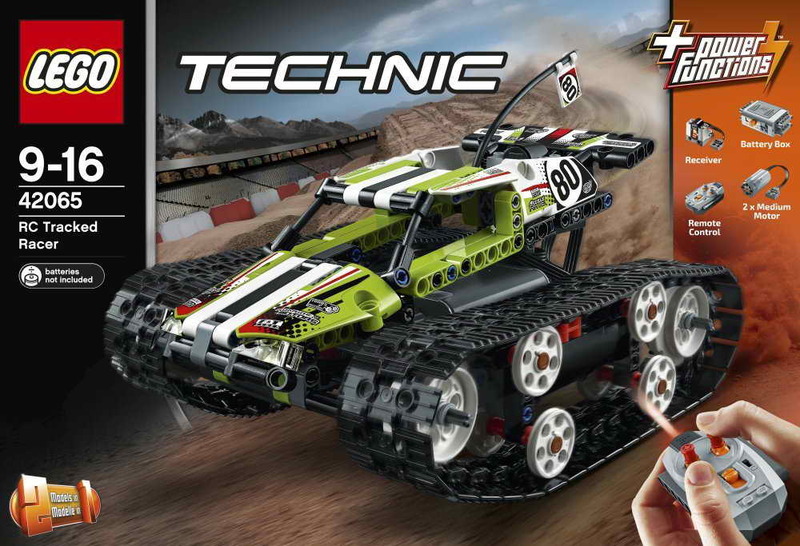 main model is a rc tracked racer. 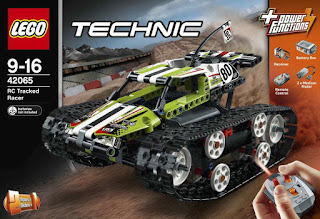 building alternative included a rc offroad truck. 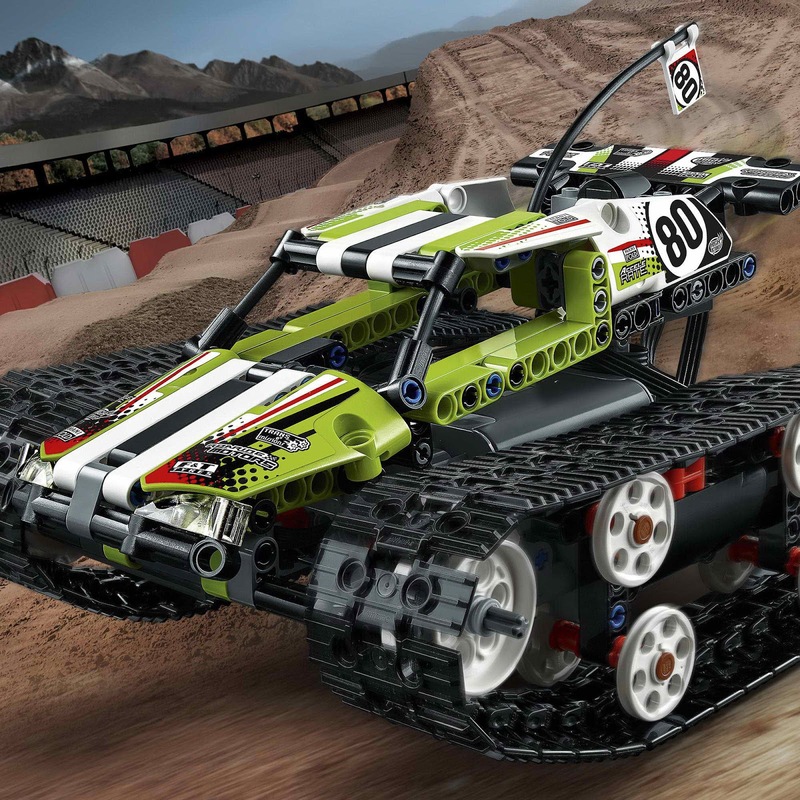 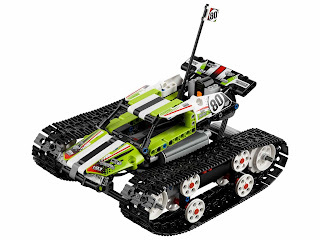 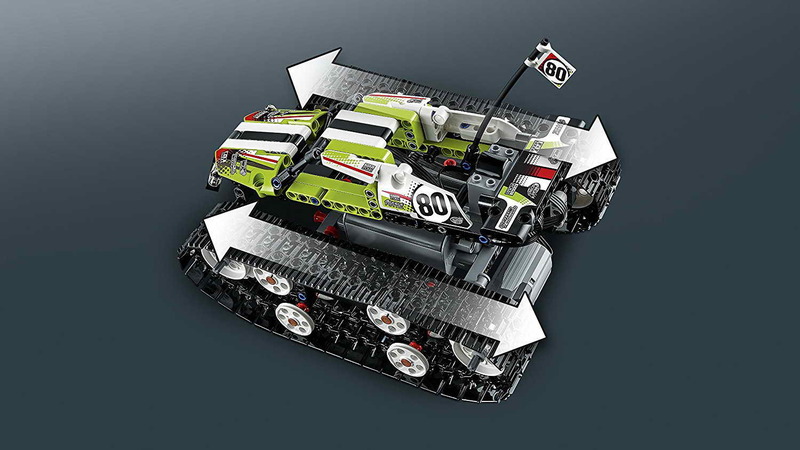 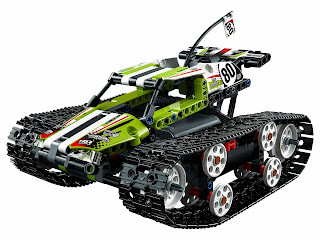 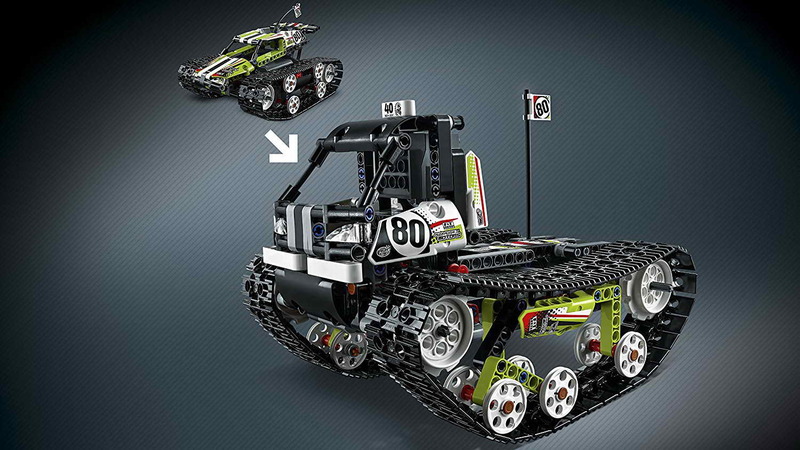 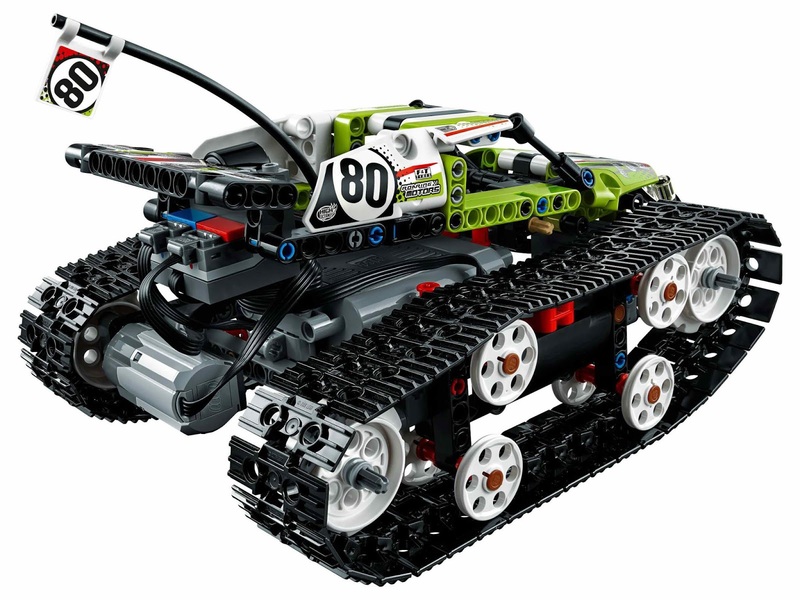 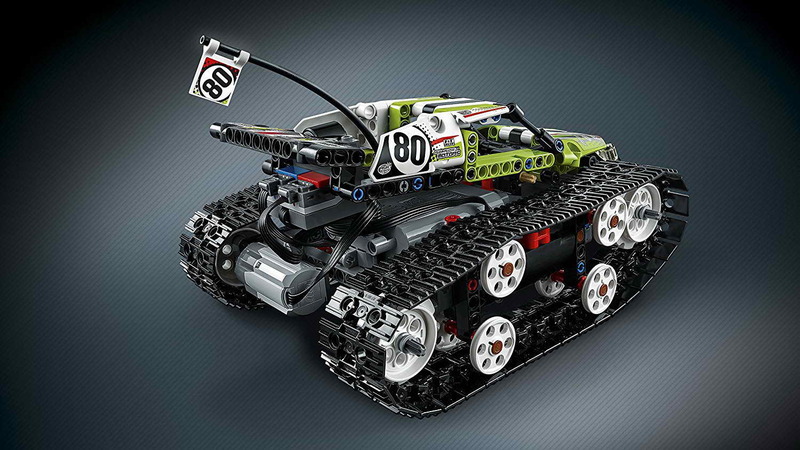 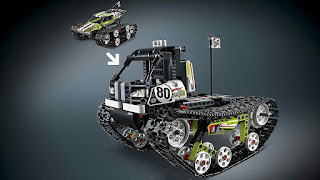 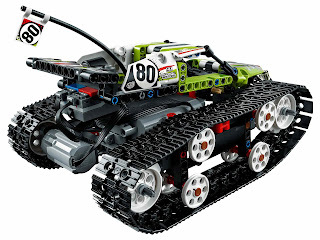 the racer come with fully motorized, remote controlled vehicle and big tracks. 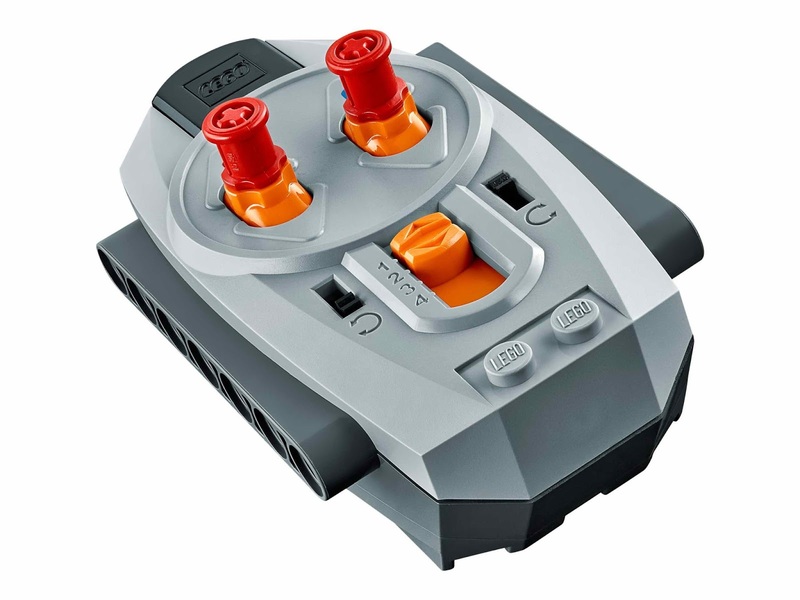 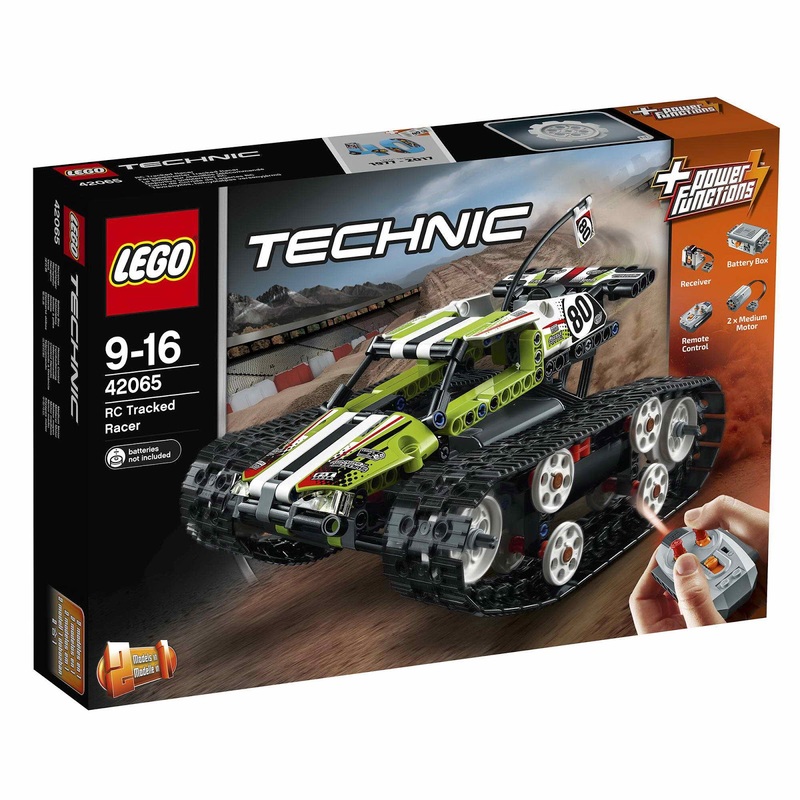 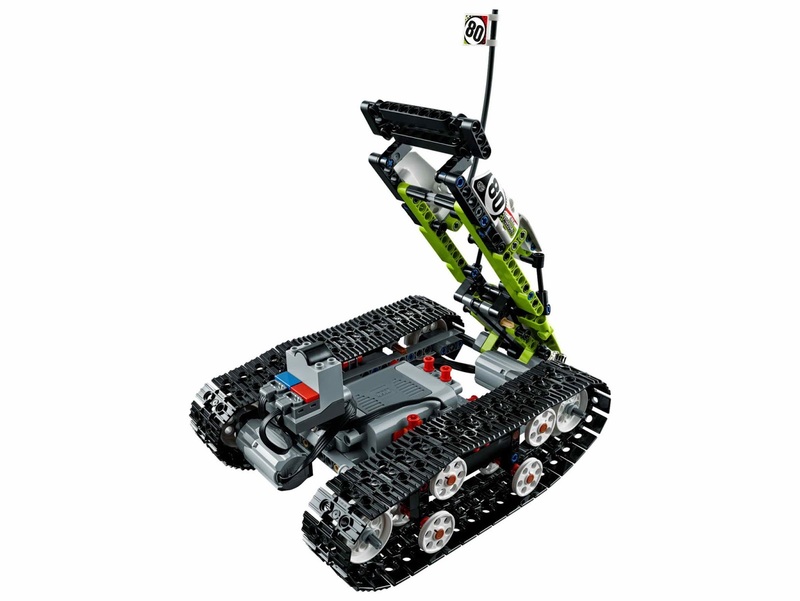 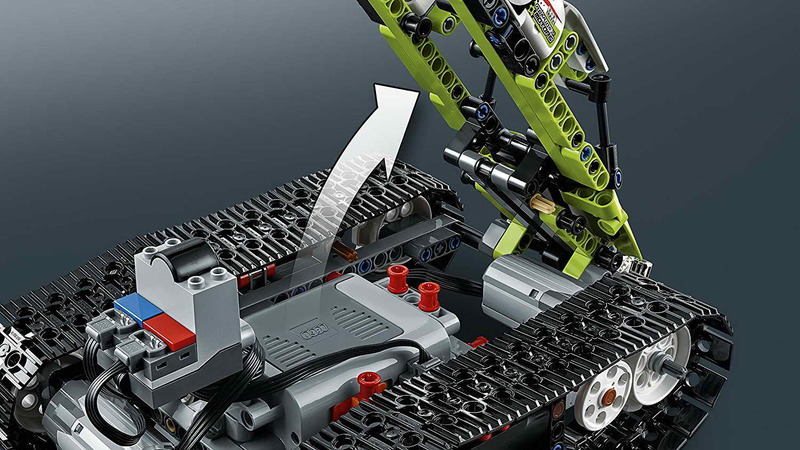 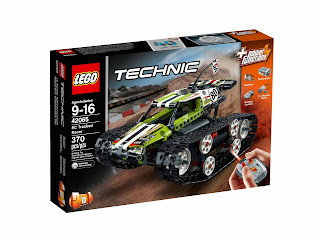 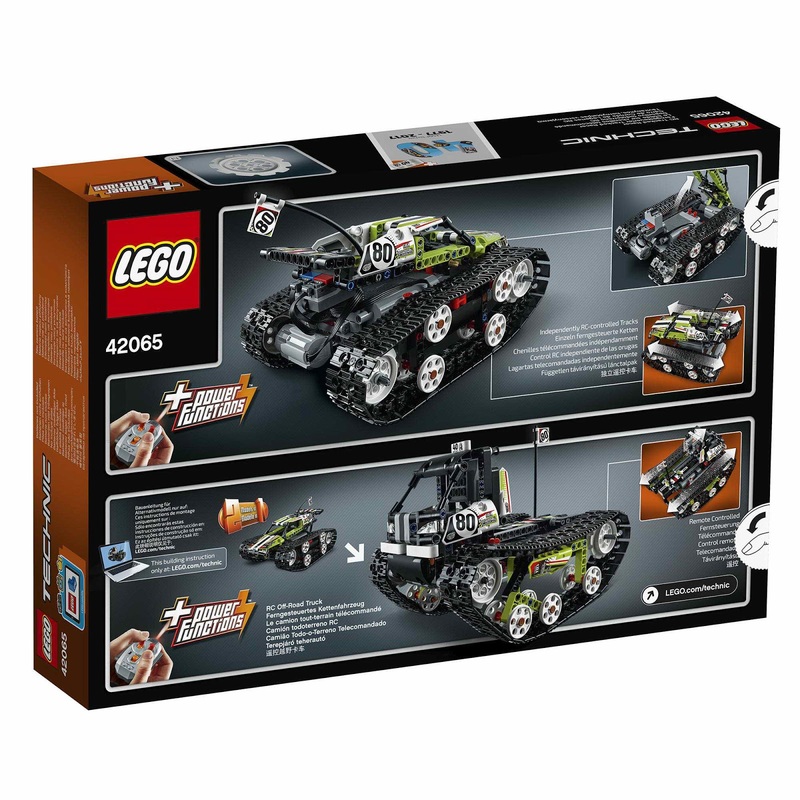 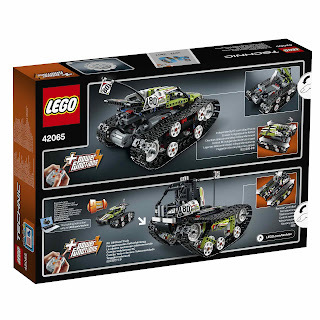 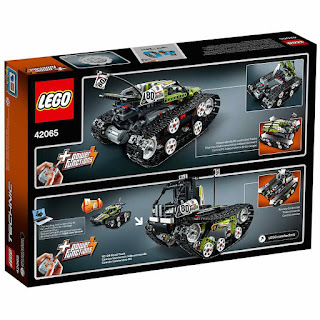 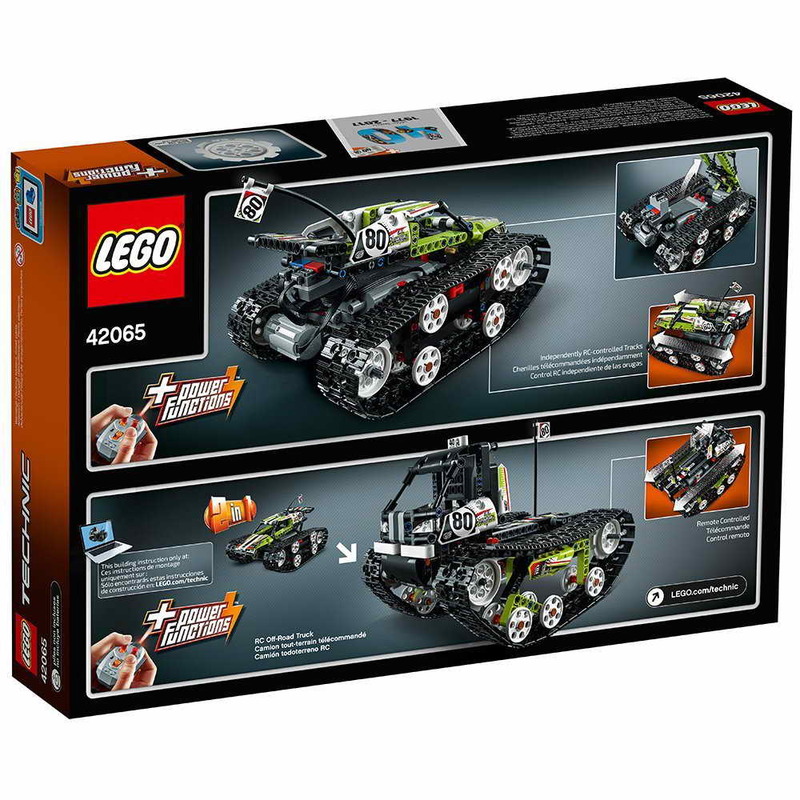 LEGO power functions included 2 medium motors, a receiver, a battery box and a remote control.